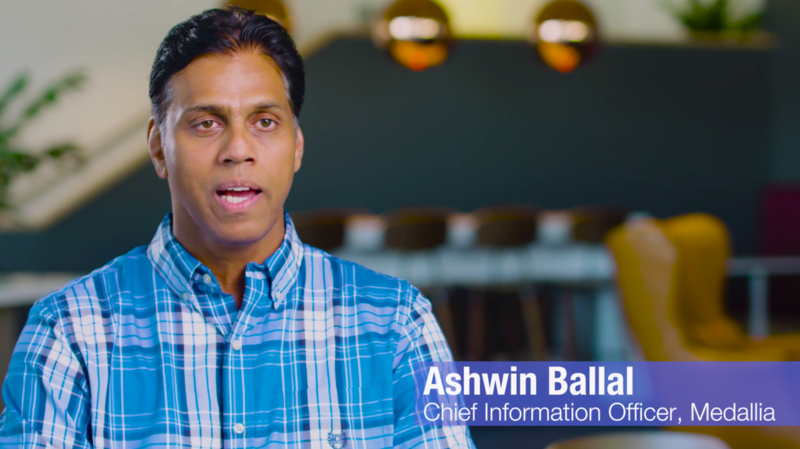 Check out our video case study on Medallia’s use of Zoom, featuring their CIO Ashwin Ballal and global head of AV and collaboration Hamilton Gordon. Medallia is an enterprise software-as-a-service company that provides customer experience management tools. Before Zoom, Medallia had not standardized on one communications solution, and instead relied on a fragmented hodgepodge of systems, leading to confusion and inefficiencies. With a recent move to a new headquarters in San Mateo, CA, Medallia was able to use Zoom’s Professional Services team to overhaul their communications systems from the ground up. Within a month, Zoom set up nearly 150 Zoom Rooms for Medallia offices in San Mateo, New York, London, and Buenos Aires. By consolidating under Zoom’s platform, Medallia was able to improve end user experiences and unify their global offices. Want to give your enterprise employees the best video communications and collaboration platform too? Sign up for a 1-1 demo with a Zoom product specialist today!